It was close to 2:00 am when the Greyhound bus pulled into the Abilene depot. I had been asleep on a bench in the depot since 12:00, the bus’ scheduled arrival. Jeana and I had parted ways earlier that morning. We ate a complimentary motel breakfast of passable eggs, hashbrowns, etc, talking normally and making no mention of our roads’ impending fork. When a goodbye is coming, it’s no use acting any differently than how you have been and wasting the time you’ve got left. In the motel room, I reassembled my life. 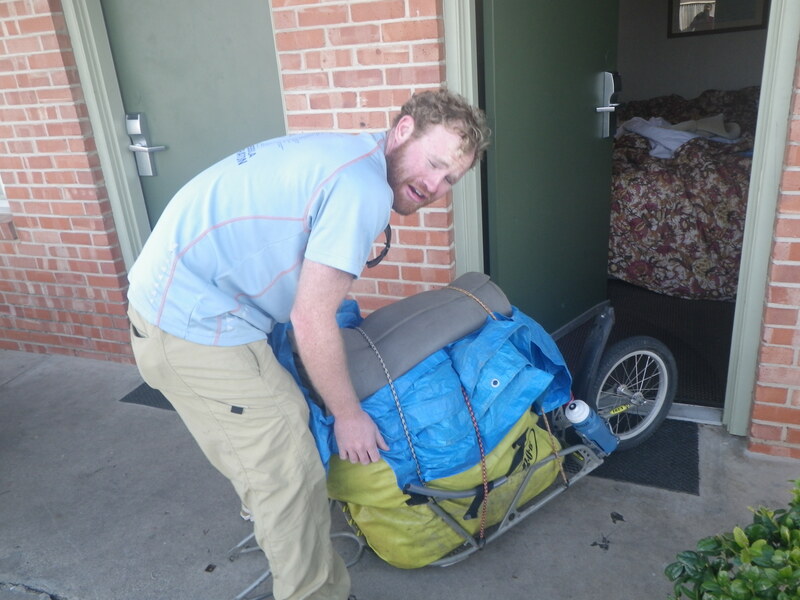 Jean held my bike steady while I attached the trailer to my rear spoke for the thousandth time of the trip. We walked outside to a bright, clear middle-of-America day. We’d already said our goodbyes, and as seasoned bikers hated covering old ground, so instead just shared a warm hug. I swung my leg over the saddle and gave a slow, grave salute. I put my feet on the pedals and took off. In the hours leading up to the depot bench, I busied about town running errands. At the town bike shop, I got my bike boxed for the bus trip. A guy at the shop gave me a lift to the bus depot. After I’d checked my things, I walked around town. Abilene brought to close another chapter of the trip. For every mile I biked, I kept in mind a goal, some National Park or a town with a couch to sleep on. Now my sites turned to my parent’s driveway. I felt a little weary and past my prime. I’d pushed the season far enough and knew I was biking on borrowed time, but I’d come this far and owed it to the trip to keep going. At night, Abilene turns into a ghost town. The shops close at 10 and the few people on the streets during the day disappear. On my way back to the bus depot, I passed a woman walking at a distressed pace. Every few steps, she stopped and shouted Gaby, Gaby! When we crossed paths, I ask her if she needed some help. –I’m not crazy, she said. –Gabby is a cat. Gabby! I wished her luck and kept walking. When the bus finally pulled in, the depot manager woke me up. I loaded my bike and trailer into the bus undercarriage then found a seat on the crowded bus. The driver came over the speaker in a loud, charismatic voice not entirely in difference to the hour. After he explained the bus rules, he asked riders for permission to begin the drive as he does every drive, with prayer. Before the bus could assemble a group opinion, he raised his voice to the heavens. –I thank the Lord for another day of life! And ask his blessings for a safe and holy ride, not only to Dallas but to our various destinations in this world and beyond. Can I get an Amen? His mobile congregation gave an Amen. –Allright. Now sit back, relax and enjoy your ride on big daddy’s caddy. Everybody ready go to Dallas, say yeaah! The bus gave their Yeah with a little more umph than their Amen. –Okay, okay. We’ll get to Dalles sure enough. But first we’re gonna make a stop a Whataburger. 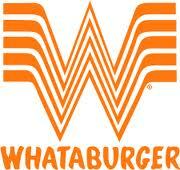 Say yeah if you want to go to Whataburger! We were two hours behind schedule, must of us had a transfer that we seemed dangerously close to missing, but Whataburger? Yeah! I missed my transfer in Dallas by a full hour and had to sleep in the depot. While I was nodding off on my sleeping pad, a guy plopped down next to me. He started in on the normal traveler’s conversation: where you going? where you been? After answering, I asked the same. –Me? Oh, I’m not going nowhere. The guy turned over on the depot floor, propped his head up against a wall and went to sleep. A few minutes later, a security guard walked over to the guy and kicked his shoe. –What did I tell you? You come back here again you’re spending the night in jail. The guy shrugged then got up. He put his hands behind his back like he knew the drill. The guard cuffed him and escorted him out. I watched the security guard do this many more times during the night. His job seemed to be to sift through the depot crowd culling the transients from the riders. It was a tough job that required a trained eye. Everyone in the depot was sprawled out on the ground, sleeping on garbage bags full of clothes, tranced and strung out with nothing but a ticket in their hand separating them from the streets. The next bus came at 8:00 in the morning. The Greyhound bus service operates on a first-come, first-serve basis and a ticket provides no guarantee of a seat. I hurried the best I could into line, limping along backwards with my absurd burden, pushing the boxed bike with my back and pulling the trailer, which every few steps keeled over just for fun. After loading my things, I got onto a full bus with no seats. There were in fact four empty seats but they hadn’t been pulled out yet. Demonstrating the level of dysfunction Greyhound operates under, myself and a few other displaced passengers, one of whom may have been eighty years old, figured out how to unfold the seats while a security guard on the bus sat idly by, making passes at a group of tittering middle-aged women. The remorse and pathos of his story would occasionally verge on the explicit, as his narrative fell into the vividly detailed assignations leading up to his daughter’s conception. –I been a bad father. But that minyx of a mother she’s got, whew. When I say if I could only do it all over again, I mean I’d do it all-over-again. In no way did I encourage this reminiscing, but the guy plowed on undeterred clear across the state. The bus was full of lost people, including the driver. We got turned around half a dozen times and when we finally made it to Shreveport, Louisiana, I’d missed my transfer. The next bus left at 8 am the next day. In a gesture of good will, I’d thought I’d give the Greyhound Bus Service one last chance to prove itself as a customer-based company and asked the woman at the counter if I could get comped a motel room. She gave me a free meal voucher that covered a quarter of the cost of a half-cooked burger at the depot grill. 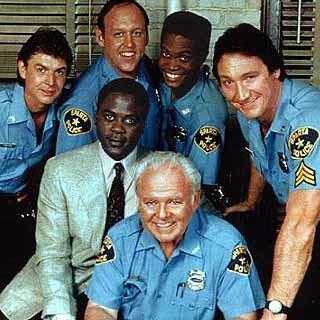 For the night, I nested in a corner of the depot falling asleep on my pad while a marathon of the southern cop drama “Heat of the Night” played on the TV. Through the night, my sleep cycles became timed to the bus schedule. Like the tides of a strange dream, I’d fall asleep when the station was empty then wake up again when the next bus arrived and the station full of people. I started recognizing people I had seen in Dallas and on other buses. Black women wearing shower cap head coverings, a lost white youth wondering around in a pink beanie- all of us stuck in a kind of purgatorial transport moving from depot to depot but never going anywhere. The next day I made it to my last transfer in Baton Rouge, LA. When I’d bought my bus ticket, I knew this leg of the bike venture wouldn’t mark as a high point, but what was supposed to have been a day sojourn into the lowest form of human travel had turned into a two day disaster. I became convinced that at the end of the world Greyhound would charter the damned to hell. At the Baton Rouge depot, I personally loaded my effects onto the next bus refusing anyone remotely associated with Greyhound to touch my things. I looked at my bus ticket for Natchez, MS and decided I had enough time for a nap. After what seemed like only a few minutes, I woke up to an empty depot and my bus gone. I ran to the counter. –What happened to the bus!? –Well, when does the next one come? –Once a day. Next one leaves tomorrow. –All my stuff is on it! What do I do? —Sir, I suggest you get a cab. I raced out of the depot and jumped into a cab, practically throwing my wallet at the driver. The driver coolly put down his paper. –Get up front, he said. He handed me a binocular case. –You glass the road for fuzz. We sped down the interstate, keeping a keen eye out for the fuzz and the bus, spotting neither. The driver, rightfully so, asked me how I could possibly miss a bus that held all of my earthly possessions. I explained my ordeal, the bike trip, and how a total three months of exhaustion had hit me in the span of fifteen minutes. –You said you biking across the country? We just missed the bus at the next depot and sped on. I split my view between the road and the taxi meter, the bus and my money escaping by the minute. For a frantic moment, I thought my trip had ended. If the bus made it to Natchez without me and the Greyhound people did their job, they would remove my things and store them until my arrival. In no way did I expect this to happen. Instead, I imagined my bike and trailer rolling on from one depot to the next on an eternal cross country trip while I languished in some scuzzy depot for the rest of my life, penniless and forsaken. But this was not my fate. After fifty some miles and a taxi ride that equaled my bus ticket, we caught the bus. The Bouten Rouge depot had gotten in touch with the driver and asked them to pull over on the side of the road to wait for me. I walked onto that bus a shamed and foolish white boy expecting the worst. Instead, I got a standing ovation. I made my way down the bus aisle in a bewildered fog and found a seat next an old lady. When the bus started moving again, the woman turned to me. –The girl you was trying to catch and going to marry? I explained my situation. No, mam, I’m just on a cross country bike trip. She let out a long sigh. I had disappointed her. For the last miles into Natchez, I leaned my head against the window watching the pavement speed below. In my reflection, I saw a small smile steal across my face. Though I wasn’t ready to admit it yet, a quiet thought entered my head, I couldn’t be having more fun. I would make it to Natchez with my stuff and the road would keep opening up for me all the way home. 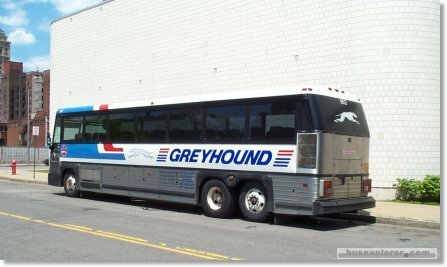 In the trip’s sum, my time with Greyhound would make for an entertaining experience, a funny story to tell, which, after all, is the whole point of traveling anyways. This entry was posted in Uncategorized and tagged Aweful Bus Ride, Bike Trip, Travel. Bookmark the permalink. RIchard, I laughed out loud. SOMEONE will buy the movie rights to this road trip and you will be a rich writer…..w roots in OMak. Peace/Love, Mary D.
Richard I literally laughed out loud at the taxi driving having you scan for cops lol Great story!! We had two young Germans here at our house last week who intended to buy a 15-day Greyhound pass to go from Dallas across the West to their final destination San Francisco. Their attempts to buy that ticket online, and figure out ANYTHING on how they’d have to go about it was extremely time-consuming and in the end led nowhere… Can’t wait to hear from them how their journey went. I have a hunch it was very much like your trip. Thanks for posting, this was laugh-out-loud funny!